Who could possibly look at the face of this gentle, adorable creature without wanting to save it from extinction. Thankfully, multitudes of caring, giving and conscientious people want to do just that. But, a near-extinct wombat – who would have thought! And, it is by no means delicate in build. In fact, they are built like small tanks. Which is probably what is so appealing about them. They have broad heads, short, stocky legs and can measure over forty inches from nose to tail. They only grow up to fourteen inches in height, but weigh in, on average, at seventy pounds. These amazing little marsupials are solid. On top of that, the females have an extra layer of fat making them even heavier. They have soft grey/brown fur on their bodies and all over their noses, hence the name, pointed ears and very short tails. There are three species of wombat: the northern hairy-nosed wombat, the southern hairy-nosed wombat and the common wombat. The northern hairy-nosed wombat is the largest of all three. Wombats are marsupials, meaning they carry and nurse their young in a pouch. The northern hairy-nosed wombat is nocturnal. Although usually solitary, wombats sometimes share burrows. They have teeth which continue to grow all their lives, allowing them to continue to grind food when they are old. They are extremely near-sighted, but have a highly developed sense of smell. Known as the ‘engineers’ of the mammal world, they are capable of digging burrows up to 90 metres long. Each burrow has several entrances, is well-ventilated and maintains a constant temperature all year round. Wombats cannot survive above ground for long periods, so their burrows are of the utmost importance to them. Little is known about the mating habits of the species, but following a gestation period of roughly twenty-one days, most young will born in the summer (the wet season), between November and April. Only one baby is ever born at a time. The baby (joey) will stay in the mother’s pouch until it is nine months old. Interesting fact: all baby marsupials are called joeys. It is said in many places, the northern hairy-nosed wombat is the rarest marsupial in the world. I beg to differ here, I think Gilbert’s potoroo is. But, I am sure this little wombat cannot be far behind. Whatever the dubious honour, as with all endangered species, it would be a terrible shame to lose this beautiful, docile animal. Semi-arid grasslands offering deep, sandy soil for excavating burrows. Epping Forest National Park – central Queensland and St George in southern inland Queensland. Various coarse grasses, including African buffel grass, and roots. African buffel grass, introduced and favoured by the cattle industry, has taken over the native grasses on which the wombat prefers to feed. Pasture competition from cattle, prolonged drought, wildfire, disease (such as toxoplasmosis or mange) and dingoes. Due to small population numbers, and all animals originally being confined to the same location in central Queensland, the northern hairy-nosed wombat could have been extirpated by any of these threats, or any other unforeseen natural disasters. It was a bit like the Board of Directors of a large company travelling on the same plane at the same time. But, all that has now started to change with the founding of a second site in southern Queensland (2009). This reserve has a predator proof fence surrounding it to keep out the dingoes as well. The same overall threats still exist, but now the future is looking better, and new babies are expected in mid 2014. The northern hairy-nosed wombat (Lasiorhinus krefftii) is listed on the IUCN Red List of Threatened Species as Critically Endangered. Through extreme vigilance, numbers have increased from thirty to forty individuals in the early 1980s to an estimated two hundred today. People and organisations all over Australia, who clearly adore the wombat, are helping to protect and maintain the species. “Re-wilding” has been introduced (re-introduction to old habitats) and scientists believe the northern hairy-nosed wombat may have a future. Let us hope they are right. The cotton-top tamarin was declared endangered in 1973; and in 1974 it became illegal to export them. Prior to that, these endearing little monkeys were subjected to years of torment. Exported to the United States by the tens of thousands, they were used for long-term biomedical research. Notwithstanding that mass depletion of the species, they were also highly sought after, and taken, by zoos and pet traders. Closely related to humans, the cotton-top tamarin was found to spontaneously develop a highly prevalent idiopathic colitis resembling human ulcerative colitis. Four out of five animals died or were euthanised after a disease course of two to ten days. Having lost most of my own family to cancer, I never fail to see, and always fully appreciate, the need for a wide range of research. However, this use, or rather misuse, of animals was unforgivable. It’s hard to imagine the horror of it all. All international trade has long since been banned, but now the species faces other risks – again created by man. The cotton-top tamarin is a New World monkey. As you can imagine, it’s pretty rare. Tamarins are monomorphic, arboreal and diurnal. They are instantly recognisable by the long white chine from forehead to shoulders. They have mutated claws on all digits and only two molars on either side of the jaw. Startlingly, they weigh no more than a pound. They live in groups ranging from one to nineteen, though the more common size would be three to nine. They are highly intelligent, with their language showing signs of some grammatical structure. The cotton-top tamarin has a monogamous breeding system. Gestation lasts about one hundred and forty days, followed by the birth of twins. Females produce twice a year. 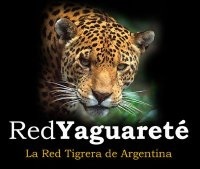 Tropical rainforests, secondary forests and open woodlands; up to altitudes of four hundred metres. Insects, fruit, sap, small birds, lizards, and eggs. Deforestation: Most of its habitat, 98% over the last decade, has been lost to farming, expansion of human settlements and fuel. The cotton-top tamarin (Saguinus oedipus) is listed on the IUCN Red List of Endangered Species as Critically Endangered. It is also listed on CITES Appendix I. Various non-profit making organisations are helping in their own way. Nature reserves have been set up to help maintain populations. The species has been legally protected in Colombia since 1969. Also known by a whole array of others names, including Abyssinian wolf, Simien fox and Simien jackal, this species has the dubious honour of being the rarest canid in the world. It is the only wolf species to be found in Africa, and can only be found in a handful of scattered areas in the Ethiopian Highlands. For those who favour wolves, this is a species well worth getting to know. Personally, I find these fox-like wolves rather beautiful. With their long, elegant legs, slender bodies and necks, deep red fur (the females are the slightly paler ones) with contrasting black and white markings, they are undoubtedly striking, and most certainly very photogenic. That gorgeous coat is very practical from the wolf’s point of view. It has an insulated undercoat to protect it against the cold, in temperatures as low as minus -15 degrees centigrade. For added warmth they hide their faces beneath their bushy tails when resting. On average males weigh about 16 kilos and females just under 13. They are about the same size as a coyote. Their front feet have five toes and their hind feet have four. I have yet to find out why this is. Ethiopian wolves tend to be mostly lone hunters. Their prey is so small there is not enough to share. They do, however, join forces when hunting larger species such as antelope. As their prey is active during the day, so are they. They are very much pack animals when it comes to other everyday living. At dawn and dusk, they patrol the boundaries en masse; and socialise and sleep as such too. They sleep together, curled up in a ball, out in the open. Male wolves rarely leave the pack, but females tend to wander off at two years of age in search of other opportunities. This species is very vocal. There are huffs, yelps, barks, growls, whines and group yip howls. The howls can be heard over five kilometres away. There is no social hierarchy amongst these wolves when it comes to mating. Bit of a free-for-all really. The mating season is between August and November. After a gestation period of about sixty days, a litter of pups, numbering between two and six, will be born. Although the adults sleep in the open, when the cubs are born, the mother digs a hole, usually beneath a large rock or inside a crevice, to shelter her pups. The pups are born with their eyes closed and have no teeth. The den will be moved several times before the pups are ready to experience the outside world. Afroalpine grasslands and heathlands at altitudes above 3,000 metres. The Bale and Simien Mountain ranges of Ethiopia. Rodents make up nearly 96 percent of all their prey – big-headed mole rats, black-clawed brush-furred rats and grass rats. Highland hare is sometimes on the menu too, along with birds, eggs, and occasionally carrion. Habitat loss and fragmentation, over grazing of livestock, road construction, persecution, confrontation and hybridisation with domestic dogs, and diseases from domestic dogs (rabies, distemper and parvovirus). Most of these threats are related to the Oromo people who live in close proximity to the wolves in the Bale Mountains National Park . The Ethiopian wolf (Canis simensis) is listed on the IUCN Red List of Threatened Species as Endangered. Less than five hundred mature individuals are thought to remain in existence. The species is protected from hunting under Ethiopian law. A vaccination programme is in place to curb diseases, in particular rabies which decimated populations in both 1991 and 2003. Steps are also being taken to prevent cross-breeding with domestic dogs. • To assess, address and counteract threats to the survival of Ethiopian wolves. • To secure the conservation of Afroalpine biodiversity and ecological processes. • To strengthen Ethiopia’s environmental sector, particularly biodiversity conservation. As opposed to being hunted by man, these magnificent animals were once used as man’s hunting companions. Known then as the ‘hunting leopard’, Indian princes kept Asiatic cheetah in captivity (in very large numbers) and trained them, as they did birds of prey, to hunt. With the cheetah, they hunted various antelope. The royal families, and their multitudes of ‘sporting guests’, would wander off with these wonderful creatures in tow and the hunt would begin. This practise began over five thousand years ago and continued until the first half of the twentieth century. Part of the reason for this species being endangered today relates to the mass, ill-managed, live capture of cheetah for the pleasure of those aristocratic folk, so long ago. Though this was not the sole reason for the decline, it played a huge part. For example, Akbar the Great, Mogul Emperor of India, had an eye-watering collection of an estimated six thousand cheetah. Not many left in the wild after that sort of extraction. By 1950 the species had become extinct in India, and most other places as well. Despite the many wrongs of this, I cannot help but wonder how long it took to train these cheetah to surrender their kill. These fabulous cats are just built for hunting. Their bodies are svelte and their legs long and strong. They have semi-retractable, blunt claws to grip the ground as they travel at speeds of up to eighty miles an hour. They have a tail which acts as a balancing tool, when cornering sharply; and their eyes, high on their small heads, have a 210-degree field of vision. Asiatic cheetah (Acinonyx jubatus venaticus) are also excellent stalkers and are able to get extremely close to their prey before they are seen. Once caught, strong jaws can suffocate the prey within minutes. When fully grown, the Asiatic Cheetah is about four to five feet in length, and weighs up to fifty-four kilos. As is so with most animals, the male is larger than the female. Both sexes chirp when they call. The strange sound is more like a tiny, yapping puppy than a fierce big cat, and can be heard up to a mile away. Breeding is thought to take place in mid-winter. Gestation lasts up to ninety-five days, after which one to four cubs are normally produced. Sadly, many do not make it past twelve weeks. The name cheetah comes from the Hindi word “chita” meaning spotted. Semi-desert areas and small plains where prey is available. Ungulates such as gazelle, wild sheep and goats. But, they have also been forced into hunting cattle because of the loss of their primary prey species, due to poaching. Alteration of the grasslands to farmland, overgrazing of domestic livestock, habitat fragmentation and degradation. Hunting and poaching of the cheetah’s prey. The Asiatic cheetah is listed on the IUCN Red List of Threatened Species as Critically Endangered. The total population may only be 50 to 100. Exact numbers are difficult to obtain. Three separate bodies, the Iranian Department of Environment , the United Nations Development Programme and the Global Environment Facility, partnered to found the Conservation of the Asiatic Cheetah Project (CACP). The intention being to preserve and rehabilitate the Asiatic cheetah’s remaining habitat in Iran. Let us all hope this extremely beautiful animal can be saved by all of this. I know I am certainly rooting for them, and perhaps you should too. The Hainan gibbon is one of the rarest monkeys in the world, possibly on the brink of extinction. There are only twenty-six left in existence; including three babies born this year. And, all of these are all living within the confines of the Bawangling National Nature Reserve on the tropical island of Hainan in the South China Sea. These delightful apes are sexually dimorphic. Mature males are almost totally black, with occasional pale cheeks, and mature females are a pale golden colour with odd dark patches on the body and a black crest on the head. Both have long arms and legs and no tail. They swing through the trees using a movement known as brachiation; something gibbons seem far more skilled at than any other species. They swing hand over hand, carrying their long, slender bodies forward. With their powerful muscles and supple joints, they do the job rather well. When on the ground, they possess the ability to walk upright. Moreover, gibbons are extremely well-known for their singing. A throat sac below the chin allows them to issue a series of notes in rapid succession. Their truly enchanting voices not only allow for bonding and mating, but primatologists are able to locate and track these agile monkeys as they travel at speeds of up to fifty-five miles per hour through the branches. Notwithstanding their numbers have recently been increased with the birth of the three babies, twenty-six is not a big number. Were the Hainan gibbon to become extinct, it would be the first known ape to do for 12,000 years. It would be a terrible shame to lose these beautiful primates simply because of man’s greed and neglect. Bawangling National Nature Reserve, Hainan Island, China. Severe loss of habitat due to illegal logging, illegal plantations, illegal and legal pulp paper plantations. Water levels have been depleted in some areas because of the moisture needed for pulp trees. As a result, the habitat of the Hainan gibbon has suffered greatly. The rainforests in Hainan have disappeared at an alarming rate over the past decade and reforestation has not been practised in the concerned areas. Listed as Critically Endangered on the IUCN Red List of Endangered Species, this species is also listed on CITES Appendix 1. There are no recorded Hainan gibbons in any other parts of the world, and none are known to be kept in captivity. Greenpeace has called upon the Hainan government to uphold their laws relating to the protection of the Hainan gibbon (Nomascus hainanus) and its habitat. 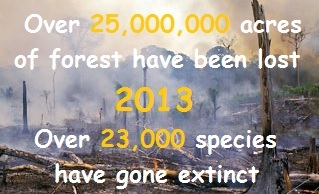 The species has already lost more than 99% of its original habitat. Large, gentle-looking and seemingly approachable, the giant panda has become one of the most iconic emblems in the world. The forefront of wildlife preservation, it holds widespread appeal. Its black and white markings, large white head with black eye-patches and huggable appearance, make it instantly recognisable to all. Giant pandas spend two-thirds of their day feeding and the other third resting. Resting being anywhere they happen to be at the time. They simple lie down on the spot. They are, however, skilled climbers and will soon shoot up into the trees if they sense predators. Climbing is aided greatly by the huge fur-lined paws with long retractile claws. Swimming can also be added to their list of abilities. The males weigh in at anything up to one hundred and twenty kilos with the females slightly less heavy. They both have muscular jaws and huge molars which are broader than those of other bears, and perfect for tearing and crunching tough shoots. They also have an additional molar. These are their secret bamboo munching weapons. Fascinatingly, they possess a special adaptation for grasping the bamboo as well – an extra ‘thumb’ (a modified sesamoid bone derived from the wrist). A layer of mucus in their stomachs protects against shards of bamboo. Pandas do not hibernate in winter as other bears do. As opposed to ‘digging in’ when the cold weather descends, they sensibly up sticks and march down the mountainside to more clement elevations. Adults are solitary until the mating season begins (March to May). Females give birth only once a year, following a gestation period of approximately five months, and usually a single cub is born. Twins occur, but are rare. By now the father will be long gone. These extraordinary babies weigh about 1/900th of the mother’s weight. They are born pink, almost bald, about seven inches in length and with closed eyes. They also makes a lot of noise, crying and squealing. The cub’s eyes will remain shut for up to forty-five days. The cub will remain in the mother’s care until eighteen months to two years of age. Although their diet is made up of various species of bamboo, and little else, giant pandas are still classified as carnivores. Temperate montane forests with altitudes of up to four thousand metres. In the cold of winter they move to the lower and warmer elevations. A wild giant panda’s diet is almost exclusively (99 percent) bamboo. They have been known to eat meat, but it is very rare. They are hopelessly slow when it comes to hunting, and any meat they may have consumed would probably have been carrion. Restricted and degraded habitat. Forests have been cleared depriving the panda of its food base. Periodically, die-backs occur in bamboo. Forest clearance has prevented the panda from migrating from one source to the next when these die-backs befall the plant. Farmers grazing their livestock can also be a problem. When habitat is used as such, the bamboo cannot always regenerate. There are now an estimated sixteen hundred mature giant pandas (Ailuropoda melanoleuca) in the wild. Due to declining numbers and continual loss of habitat, the giant panda has been listed on the IUCN Red List of Threatened Species as Endangered. Endemic to the Annamite Mountains of Laos and Vietnam, the enigmatic saola was only discovered in 1992. A team made up of workers and scientists from the Ministry of Forestry of Vietnam and the WWF came across a skull, complete with horns, in the home of a hunter in north-central Vietnam. No new large mammals had been scientifically described since the Kouprey (Bos sauveli) in 1937, making this one of the most exciting zoological finds of the century. Also known as the Asian unicorn, it is one of the world’s rarest mammals. Looking remarkably like an antelope; in reality, the saola is a member of the Bovidae family. With its chestnut coat, white facial markings, various body markings and unusual horns (possibly used for protection against predators), it is a very singular animal, and difficult to confuse with any other. The two sharp-tipped long straight horns can grow up to 50 cm on both the male and female of the species. The only sound they have been heard to make is a soft bleating noise, rather like a domestic sheep. Their young are born between April and June (usually one) after an eight month gestation period. There has been little chance to study these animals whilst alive as they have rarely been seen since first discovered. Put that together with the surviving numbers, 70 – 750, and it is easy to understand why so little is known about them. The source of most of the information gathered has come from one captive female. No others survived long enough. Other studies have come from dead specimens. Subtropical/tropical moist mountain forests during the wet season and the lowlands in winter. 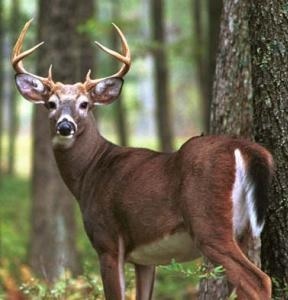 Habitat loss, by-catch (snares set for other animals, such as boar and deer) and hunting; their horns are prized. “If we were to wipe out insects alone on this planet, the rest of life and humanity with it would mostly disappear from the land.